My Obligatory Superbowl Post – Go Broncos! I live in Denver. This is my obligatory Superbowl Post. Go Broncos! Okay, really. It’s pretty exciting living in a city with a football team headed to the Superbowl. Everything has been a little bit electric this week, almost surreal. It’s like Christmas for football fans, but this time you really don’t know if Santa is bringing you what you asked for: a big fat Superbowl victory. Ironically last year my good friend from Baltimore came to visit us in Boulder during Superbowl weekend. What a weekend NOT to be in Baltimore (granted, I always try to avoid being in Baltimore, but that’s because I value my life). This is also the first year since my husband and I have lived together that we will not be having a Superbowl party. Which is so bizarre because it would be the perfect year to host one. Oh well. This way I can laugh at all the commercials I want to without worrying about my sad sense of humor. 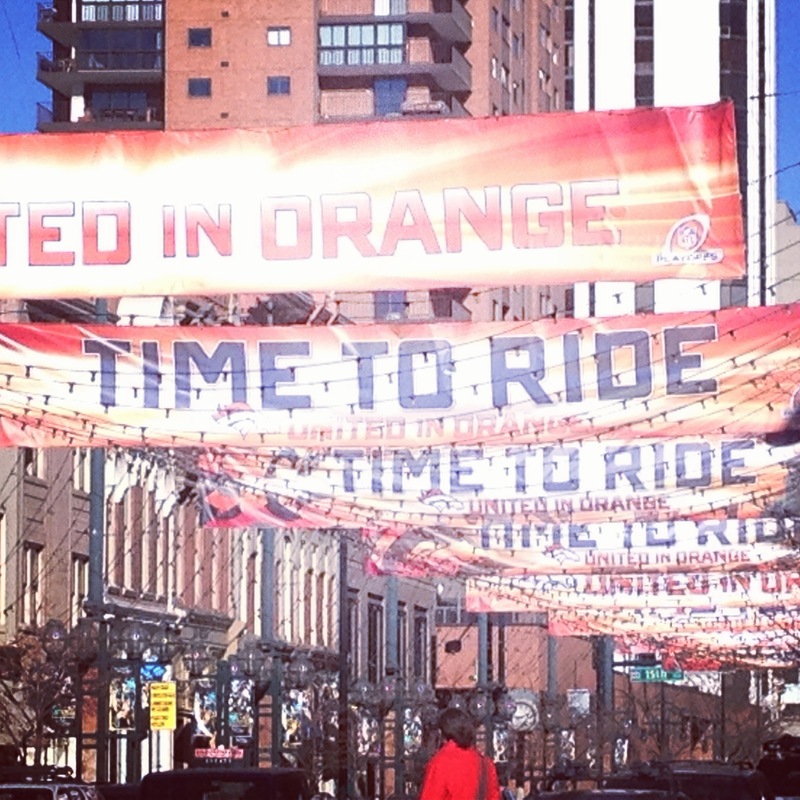 “United in Orange” and “Time to Ride” banners fly high over Larimer Square. Before this time last year I would have never called myself athletic (although I am sure using that term in reference to myself is still a bit on the exaggerated side), and before two and a half years ago, I wasn’t a huge fan of the outdoors. Unless it was a beach. I am always a fan of the beach. Wait a second, why did I move to a land-locked state again? I digress. I grew up very much appreciating the great indoors and general cleanliness. Growing up in Texas I learned early on that ladies don’t sweat. But if we must, we glisten and glow. Gym was merely a class I suffered through. My summers were spent submerged in a pool, or dying of heat at band camp. Neither particularly profound in the art of athleticism, at least in my case. Once I moved to Colorado, I realized that the entire world is not actually one big orb of humidity, and that living 5,426 feet above sea level significantly reduces the amount of insects. Granted I now have bears and mountain lions to contend with, but this issue is so far proving to be manageable. Until this time last year, I would never have pegged myself as one who would someday dream of running a half marathon, let alone fly across the country just for that purpose. I tended to scoff at those wacky runners and their 13.1 or 26.2 stickers (is it miles or kilometers, and who measures in kilometers here?). So silly, I thought. You aren’t running from something, or even necessarily towards something, so why are you doing it? Hiking was about as far as I would go, and that had a very intentional purpose of seeing the natural beauty that surrounded me. Then a switch in my brain flipped and I said to myself, “Self, let’s run the BOLDERBoulder 10K this May. Just for funsies. Okay? Okay.” And that was that. I swear I am smiling and not grimacing… I think. I may or may not have secretly signed up my husband. He was thrilled. Now he is my favorite running partner (thanks honey! 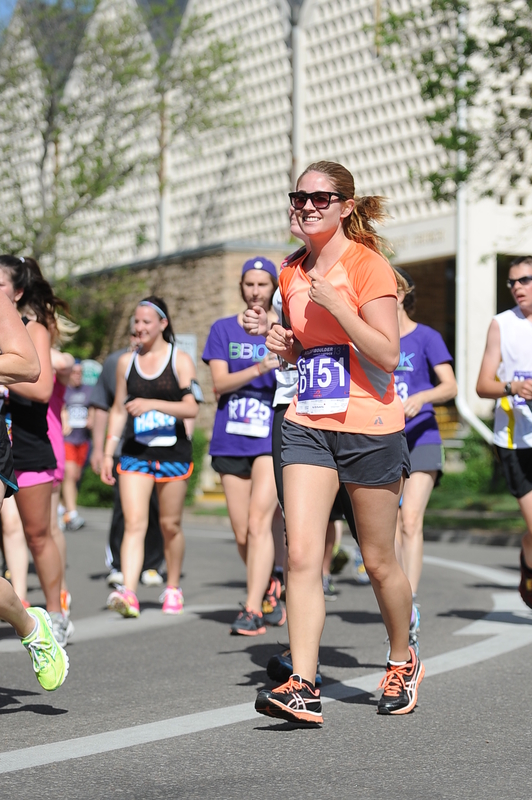 ), and we’ll be running the BOLDERBoulder again this year. Since then I have acquired a love (sometimes love-hate) of running. Being able to get outside, especially on those absolute perfect days (anywhere between 55 and 65 degrees, light breeze, sun shining) and just have an overwhelming sense of accomplishment… There’s nothing quite like it. I didn’t understand the concept of a runner’s high until recently. And now it’s all I can think about during the week. I look forward to the weekend, knowing I that all I need to do is throw on my shoes, grab my “Sea Level is for Sissies” visor (oh yeah, you want one), and go. I will literally check the weather all week long to determine how amazing my run will be. It doesn’t matter that I will just be running one big circle and coming straight back home. It’s the connection to yourself, your breath, your heart, the pavement beneath your feet, and the sensation of overcoming a challenge that feels utterly phenomenal. Don’t get me wrong, I still have days when I ask myself, “Self, why am I doing this again?” But typically I will get one great mile in and come to my senses. 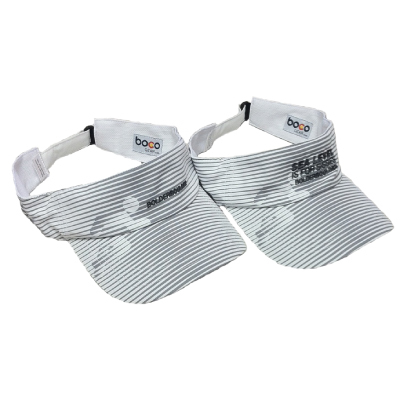 You know you want this visor. Recently I read an article from the Wall Street Journal, which I am sure many of you will recall, that really made me ponder my newfound love of running. Or jogging with enthusiasm, as I like to call it. This particular article received a lot of heat from the running community and elicited a very poignant response from Runner’s World. I felt conflicted, because I could absolutely understand both sides of the argument. I had so recently converted, that I distinctly remember some of the notions that Mr. Stafko expresses. I was that person constantly wondering why any human being would want to force themselves to run for long distances, often in awful weather, for no apparent reason other than enjoyment (obviously there are health considerations involved, but these people really enjoyed it). And now I cannot imagine not having a race to look forward to. So all I have to say to this point is that it’s not for everyone, but until you try it, you’ll never know! So here I am, less than a month away from my first half marathon, the Disney Princess Half Marathon to be exact. 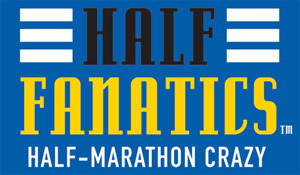 My best friend and I are in it together, and it will be the best first half marathon ever! 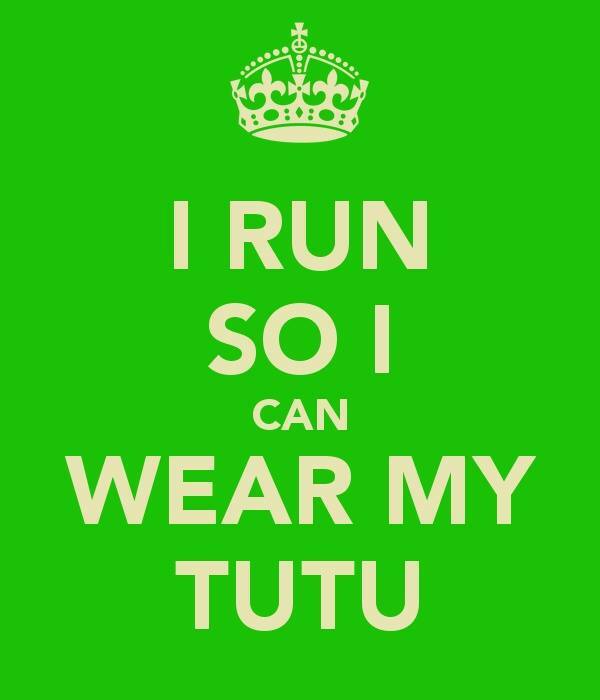 Mostly for the tutus… In just 3 months from now I will be joining some of my favorite ladies of all time for the Nike Women’s Half Marathon back home in DC, and yes, we will be wearing matching shirts. Why? Because we’re adorable like that. 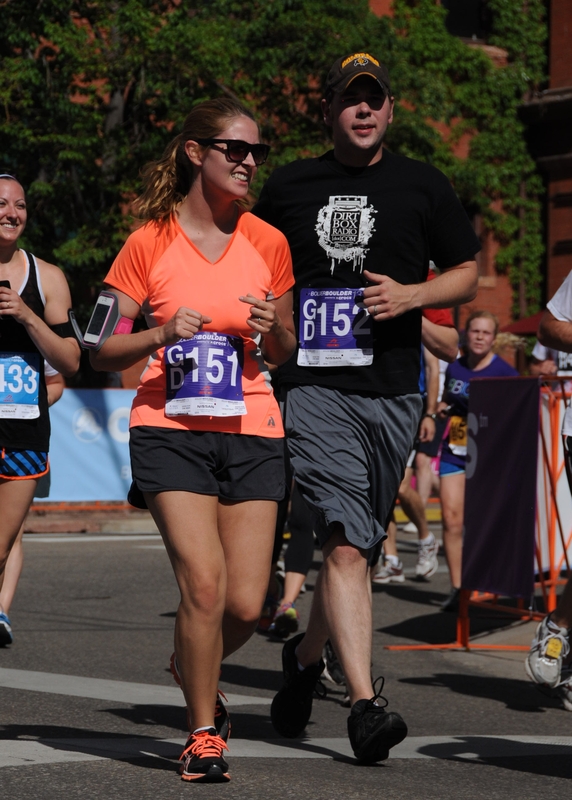 To cap it off, my friend Samantha and her hubby are flying out to Colorado for the BOLDERBoulder this May. 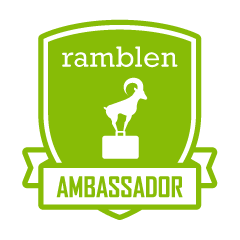 In this I am truly honored and excited. I am daunted just to run, but coming from sea level to a mile high is no small feat. And she didn’t even bat an eye at the thought. Did I mention she’s partly my running inspiration? Don’t judge me. You know you feel the same way. Long story long, I think I have found something that motivates me, challenges me, and inspires me. Whatever your muse is, take it and run with it! New Year, New Goals, New Me! Where did January go? Do you ever feel like the holidays come and go quicker than you can say, “Happy Holidays!” It’s funny that as a child it’s this magical season, full of light and excitement, routine and chaos. As I have grown older, I still strive to see the holidays through the eyes of my childhood self. But that notion grows increasingly more difficult. Instead, I feel overcome by stress, worry, the need to please, and a little too much dessert. By the time January hits, you’re praying for the new year and a new outlook. Here I find myself in 2014, really examining what’s most important, and what I can do to make myself better. I like to say that I don’t believe in “New Year’s Resolutions” simply because they sound so final. As a human being, we are prone to change, and to altering our course when necessary. I’d prefer to see these resolutions as goals. Goals sound more attainable, and something you should always incorporate into your life, rather than aspirations we hold to be finite, until we fall off the wagon three months in. Don’t get me wrong, I say all the more power to those holding true to resolutions. I just know myself, and what makes sense for me. For 2014, I decided to make a list of these goals, just to see where I could go with them. Some are my own. Others are spurred by the wishes of friends and family that I happily adopted. This list (can you tell I like lists?) will be ever-changing, just as I am. But for now, here are some aspirations that keep me going, growing, and succeeding! 1. This goal came from my friend Ade, and although it’s not always a problem, I do think it is something worth considering: I want to stop cursing. I don’t curse like a sailor, and in fact, I don’t curse very often. But when I do, it leaves a bad taste in my mouth and I feel self-conscious of it. So in moving forward, I would like to stop. I don’t even want to curse in my thoughts, which may be even harder to do. So here goes! 2. Oh wine… oh cocktails… being an adult can be so much fun. While I would never call myself an alcoholic, or even a lush, there are some days when picturing a nice glass of wine just gets you through the afternoon. During the week, however, my goal is to cut back. The weekends are a time of relaxation, and typically provide more hours for sleep. Perfect for a little cocktail! So my goal is to abstain during the week, but thoughtfully enjoy my delightful concoction come the weekend. 3. I want to be a better friend, sister, daughter, and wife. This is always a goal, and it’s always something I want to strive for. In order to be the best version of myself, I need to emulate that with others. To alter this goal this year, I want to try to see myself through the eyes of others. Then I feel I will truly be able to be as good as I can be for those whom I surround myself. 4. Health and fitness have become a huge piece of my life within the past few years. It’s infectious in Colorado. If you aren’t running, biking or hiking when the weather is 50 degrees or warmer, then there’s something direly wrong, or you’ve come down with the flu. Thankfully I have amazing motivation in the form of my husband, friends and family. I will be running my first half marathon at the end of next month in Disney World with my best friend. My husband and I are training together for our second shot at the BolderBoulder 10K in May, in which two of our amazing friends will be joining us (check out The Bake N’ Burn Bombshell, she’s amazing!). 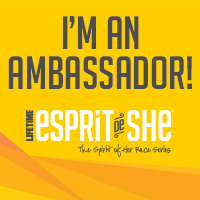 I will be reunited with my favorite ladies in April for the Nike Women’s Half Marathon, and I simply cannot wait to share this memory with them. On top of weekly workouts and weekend runs, the hubs and I began planning out all of our meals on a weekly basis, and have definitely increased our trips to Whole Foods. Having meals that we can accomplish, and using great ingredients to do it is such an amazing feeling. Of course we splurge every now and then (we do live in a very foody town), but knowing what you’re eating and being conscientious of what is going in your body makes a huge difference overall. 5. As an English major, the summertime was my reprieve from reading. I got to a point where the idea of picking up a book sounded awful. Now, however, all I want to do is cuddle with the pup and read a good book. I recently started reading “The Sharper Your Knife, The Less You Cry,” by Kathleen Flinn, and she is a woman who truly followed her dreams, set meaningful goals, and accomplished them, despite hurdles along the way. It’s amazing what a good book can do to change your perspective. So here’s to you Kathleen: you wanted to conquer Le Cordon Bleu, the world’s most famous cooking school, and I want to read more books! 6. I want to travel. There’s no ifs ands or buts about it. This past year was tough, between moving, commuting a 100 miles a day, and finding a new job, there wasn’t any time. The only travel we did was for weddings (which were still pretty fantastic) or for work. And there can be quite a difference in traveling for necessity versus traveling for yourself. This year we already have two trips planned, one to the British Isles, and another locally. But in order to feel more balanced, I know that I need that occasional getaway, even if just for a long weekend. 7. Cooking is something I enjoy, and I would say I am a decent cook. But I know that I need to expand my horizons. Week nights are tough. Most couples and families have two working adults, and other weeknight obligations (not to mention traffic and commuting), which make cooking actual meals quite a challenge. My husband and I made the goal to try one new recipe for dinner at least every other week. This gives us a chance to increase our culinary repertoire, but becomes more manageable for our busy lifestyle. Thus far it’s been a success. Tonight we have homemade tomato basil soup and fancy grilled cheese sandwiches on the menu (I never said they were difficult recipes…). Mmmmm… I think my tummy’s growling. 8. I want to drink more water. Hydration is key at higher altitudes, and some days I think I go towards coffee, tea, and juices more so than water. With increased physical activity, and for the incredible effects of hydration on skin, hair, performance, and overall health, I absolutely must drink more of it. So raise your glass of deliciously cool H2O and feel all the more better for doing so. 9. So mornings can sometimes be a challenge for me. I love the morning and the prospect of starting a new day, but I also like to take my time. One big goal for this year is to give myself more time in the mornings, and be timelier in arriving to work. If it means I end the day 30 minutes earlier, so be it. 10. On that same note, I want to be a better commuter. Granted I travel 11 miles to get to work, but that can span anywhere from 25-45 minutes. I need to be more patient with other drivers, and understand that most Colorado drivers are horrific. It’s sad but true. I thought Northern Virginia was bad, but I was so wrong. I digress: be a better driver. 11. Some may call me OCD. I have said that of myself many times. But recently I have been a little lax on the organization (in my own opinion). I want to reboot my organizational skills and be more intentional about putting things away and keeping up with clutter. It’s easy to be bogged down by the unnecessary. I think a clean home, and workplace, is a mind at ease. So why not take an extra five minutes to tidy up what will save you a headache later on? 12. Blog more! I love writing. I love sharing experiences. I love reflecting on life and what I learn along the way. Needless to say, I need to translate these passions into this perfect encapsulating art form. So here’s to more blogging! I could go on and on with goals that I have, with some having more weight and meaning than others. Many of my goals are personal, not work related, but I think they transfer into every facet of my life. I participated in a Wellness in the Workplace course last month, and the Circle of Wellness or Wellness Wheel truly illustrates that balance is dependent upon giving weight to those areas that are most meaningful, but not ignoring other facets of your life. It’s been an inspiration for me as I make and attain (or retain) these goals. Here’s to another year, and another chance to improve and grow!